Despite the nastiest political campaign either of us can remember, 2016 was a good year for us. We were fortunate to be able to spend a good amount of time visiting with family and friends on three continents. Travel is one of those things that almost everyone puts on their bucket list for the coming year and if it's on yours, we'd encourage you to make it happen. It's a bonus that for those of us from the U.S., today's strong dollar is making travel more affordable than ever. And while the "getting there" part of traveling (long lines, surly security personnel, crowded flights, and so on) is painful, the "being there" part of it is as pleasurable as it has always been. Thanks to mobile apps, it's easier than ever to find your way around, find the best restaurants, sites and tour guides, and even--if you choose--to stay in touch with "back home." If you need to work, many of you can do that, too--for good and bad--with a laptop from wherever you are in the world. The best of travel, though, is seeing the world through someone else's eyes and experiencing life as lived by the locals... It's the best way to learn to appreciate other cultures and better understand those who live differently than we do. And that's something we surely need more of in this world. Our point is that you never know what you might find. Even when you're not looking for it, you can find magic. And it may happen to you more than once in your lifetime. That's been our experience. And as we take stock of 2016, we count our lucky stars for having lived in Ecuador. It's one of the best places to retire or start a new life. Far from the maddening pace of life in the States, Ecuador is a peaceful, gentle place of gorgeous scenery and sweet people that will tug at your heartstrings. Having said that, Ecuador is not for everyone. In some ways it may be too "rustic" for some. It's hard for us to imagine what you, personally, might not like about Ecuador, because it appeals to us on so many levels. 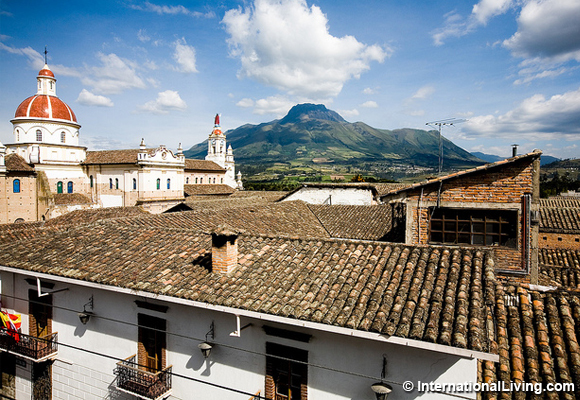 Ecuador has changed a lot in the time we've lived there...and mostly for the better, we'd say. 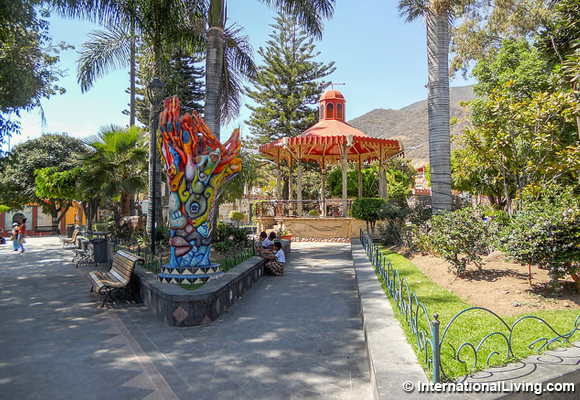 In Cotacachi, the little village in northern Ecuador where we've lived, for instance, we've watched the retirees and other foreigners who have made homes there contribute in many positive ways. Some have started foundations and many volunteer to help schoolchildren and families, the elderly, those who need medical care, animals, and more. Some have also started much-needed businesses that provide local employment. But again, back to those oysters... Just as an oyster can be full of pearls, the world is awash with beautiful, wonderful, exciting places to explore and to live. The first thing on your action list if you're considering retiring overseas, of course, should be finding the place that's right for you. It all depends on your calculated wish list. It's personal. For us, Ecuador fit the bill perfectly...until, that is, our granddaughter was born nearly three years ago. Everyone warned us that becoming grandparents would change our lives. Still, we weren't prepared for the magnetic force she created. We longed to see her more and more often...and beyond the magic of video calls over the internet. It's not just face time we're after. We need snuggle and play time. And so now, at the start of a new year, it is also a time of new beginnings for us. We've found another pearl in our oyster. 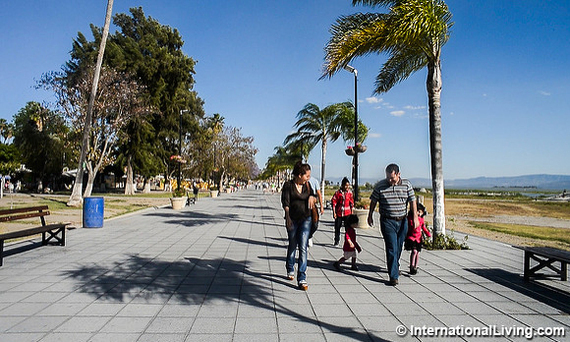 We're spending the first half of 2017 at Lake Chapala, Mexico, with an eye to relocating here. At a reasonable morning hour, we can leave from the Guadalajara airport just 30 minutes away, and we can be in Phoenix with our granddaughter well before lunchtime. We recently picked up a round-trip airfare to fly there for her birthday for just $205. This particular area of Mexico has been a popular destination for U.S. and Canadian retirees for generations--well over 100 years now. At our fingertips are all the valuable services anyone might want, including top-notch medical care, easy public transportation options, lots of choices for home rentals or purchases in all budgets, well-stocked big-chain supermarkets, excellent international-fare restaurants, and much more. It helps that our strong dollar goes farther in Mexico today than at any time in recent history. We're loving the 30-cent bus fares, the $12 mani-pedis, our $6 sit-down lunches and $20 evening meals...that's the total for two, beer or wine included. We love the Mexican people and their joyous (yes, sometimes loud--especially at holidays) approach to life. We're settling in. And so are plenty of other foreign retirees. It's a trend we expect will continue. For so many worthy reasons, Mexico has just been named the #1 retirement destination on International Living's Global Retirement Index. You can read all about it here.